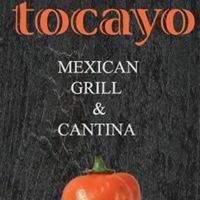 Beginning January 3, 2018, The Rotary Club of Pueblo West will meet at Tocayo Mexican Grill & Cantina. They are located south of the library in the strip center on the east end of the building. Meeting times will remain the same, from 7:00am - 8:00am.